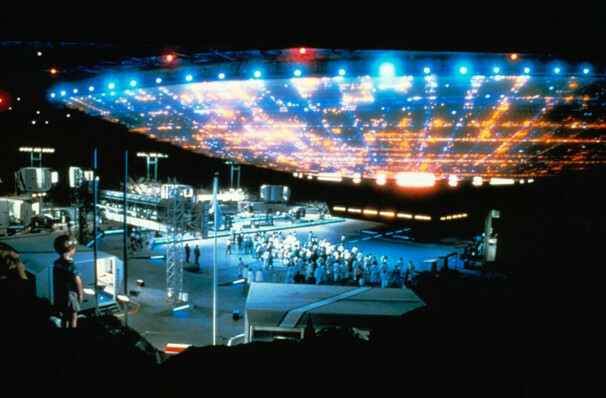 Why See San Francisco Symphony - Close Encounters of the Third Kind? Inspired by a meteor shower witnessed in his youth, Stephen Spielberg's seminal 1977 movie Close Encounters of the Third Kind is fondly remembered as much for its sensational score was its never-before-seen effects. Experience the wonder for yourself when the San Francisco Symphony present a live-to-screen concert, bringing John Williams' outta this world score to life! Telling the story of an Indiana farmer who becomes obsessed with UFOs and his quest to discover the truth behind a series of mysterious disappearances, don't miss this exciting live experience. Sound good to you? 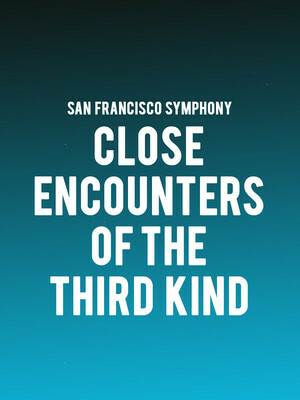 Share this page on social media and let your friends know about San Francisco Symphony - Close Encounters of the Third Kind at Davies Symphony Hall. Please note: The term Davies Symphony Hall and/or San Francisco Symphony - Close Encounters of the Third Kind as well as all associated graphics, logos, and/or other trademarks, tradenames or copyrights are the property of the Davies Symphony Hall and/or San Francisco Symphony - Close Encounters of the Third Kind and are used herein for factual descriptive purposes only. We are in no way associated with or authorized by the Davies Symphony Hall and/or San Francisco Symphony - Close Encounters of the Third Kind and neither that entity nor any of its affiliates have licensed or endorsed us to sell tickets, goods and or services in conjunction with their events.